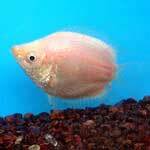 The Balloon Kissing Gourami is rounder and not quite as laterally compressed, as the Kissing Gourami. It is also smaller. This fish has a labyrinth organ, a part of the fish which allows it to absorb atmospheric oxygen directly into the bloodstream. These fish are pinkish to orangish pink with transparent fins. 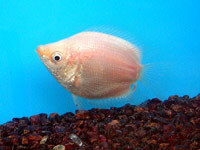 The most distinctive characteristic of both this fish and the Kissing Gourami is the mouth. The mouth has lips that are thick and fleshy with fine teeth on the inner surface. 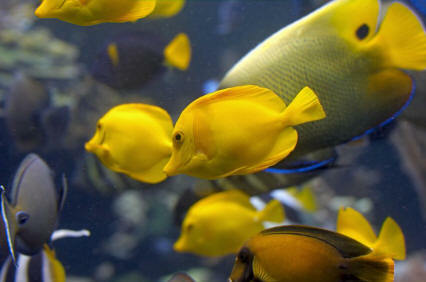 The name "Kissing" was actually derived from the action of its mouth where it uses it lips and teeth to rasp algae from the surface of rocks or from the glass in the aquarium. They are omnivorous. You should give them a variety of live, frozen and dry food. They even eat planaria. Breeding is easy. You should lower the waterlevel to 15 cm (6"). The male builds a bubblenest. The eggs are laid in the bubblenest. After spawning the female should be removed. The male takes care of the fry. When the young fishes are swimming free you should remove the male as well. You can feed the young fishes with infusoria and a few days later with baby brine shrimp. Bala Sharks, Barbs, Clown Loaches, Corydoras, Danios, Gouramis, Hatchetfish, Kuhli Loaches, Plecos, Rainbowfish, Rainbow Shark, Red Tailed Shark. Not compatible with Cichlids. Livebearers may be compatible. Some barbs and tetras may nip the Gourami s long pelvic fins. 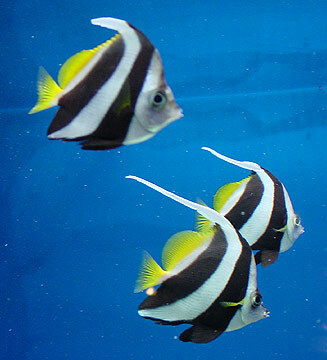 If kept with aggressive or fin-nipping species, such as barbs, will spend most of the time hiding in the corners of the aquarium.